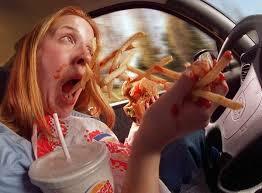 Next up are types of finger foods that won’t help hinder eyes off the road and both hands off the wheel eating. These foods will help hangriness (that anger you feel when you get hungry) and prevent any fighting that will save even more lives via squashing (mmmmm squash) road rage potential 😮 I am not going to give you the typical bar and trail mix foods as those can often be too easy to get too many calories. Those foods are some good options out there but you have to be careful of how much you eat. Look for a makeup of about 20-30g protein, 20g carbs with minimal sugar, 4g fiber and under 10g fat if you do look for bars. Aim for ingredients you recognize for the most part 🙂 I still say avoid the nuts and seeds and have them only with at-home meals in a more portion controlled way. Seriously, Allegro cheese needs to fill my fridge with the amount I pimp them lol. Get some of their cheese, cut it into cubes, put in an easy to open container or container with tin foil you can easily bust through to grab the goods. Ryviita crackers are pretty awesome. Have 2-4 of these babies with some of those cubes of Allegro and veggies and you have yourself a decent energizing, high fiber finger food snack. Quest Chips .Nope I don’t sell these or anything I just personally tried this particular brand of “protein chips”, and there are many similar that I have yet to try, and liked them. Live Organic Food Bar has some yummy easy to eat snacks just watch the makeup of the snacks you choose. Look at the calorie and serving sizes on these as they can be quite high due to the fat content. Even if it is health promoting fat, calories still do count. You can easily break off a few pieces of their food and dip it in a pre-portioned Greek yogurt dip that sits easily on that seat divider thingy. These are just a few options that can help keep you on track, help you maintain your energy and keep you a bit safer too!